Microsoft Azure from Recarta gives you all the advantages of a flexible, resilient and accessible cloud platform supported by a team of dedicated Azure experts. Recarta have attained the highest levels of certification in order to help clients realise and maintain their cloud vision. Recarta maintains a number of senior level Microsoft certifications and partnership awards. 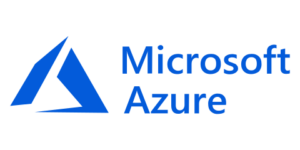 Recarta has a dedicated team of Microsoft Azure experts, who work with clients to help them achieve and maintain their goals on the Azure stack. We support dozens of Microsoft Azure users. Our team have experience of working with all versions of Azure and maintain our experts accreditation. Speak to a Microsoft Azure specialist today about your project. Our dedicated Microsoft Azure team can guide you with all aspects of your project. If you’re looking for configuration, implementation support or would just like to speak to someone about the best use of Azure, call us today. Fill the form in opposite and a certified consultant will be in touch. Recarta Azure Workshops are designed to provide a client starting point in the process of deployment. What could Azure do your you? Our Azure Workshops are a perfect starting point to gain a full understanding of the platforms capability and define how your business could benefit. Led by our qualified expert team, your project team will be introduced to the platforms unique capabilities and how your organisation could benefit from its implementation.